The Wachowskis have become known for big budget science fiction epics, but their next project is actually a mini-series created exclusively for Netflix. Sense8 tells the story of one moment that links 8 minds in disparate parts of the world, putting 8 strangers in each other’s lives, each other’s secrets, and in terrible danger. The first trailer debuted today, and it does a fine job of showcasing this idea without giving away many, if any, secrets about what might happen as a result of this miraculous event. You can view the footage below. The cast for this series is huge, and as the description above teases, the men and women who are featured in this store come from all over the world. Some of the people featured include Brian J. Smith, Tuppence Middleton, Jamie Clayton, Miguel Angel Silvestre, Tina Desai, Doona Bae, Aml Ameen and Max Riemelt. Also, Daryl Hannah, Naveen Andrews, Terrence Mann, Freema Agyeman, Alfonso Herrera, Erendira Ibarra, Adam Shapiro, Ness Bautista and Joe Pantoliano. I was not big on Jupiter Ascending or Cloud Atlas, but I do believe The Wachowskis are entirely capable of delivering another hit. Sense8 may be the type of project that places just enough limits on the team’s creativity to steer them into create the kind of great art fans know they can make. 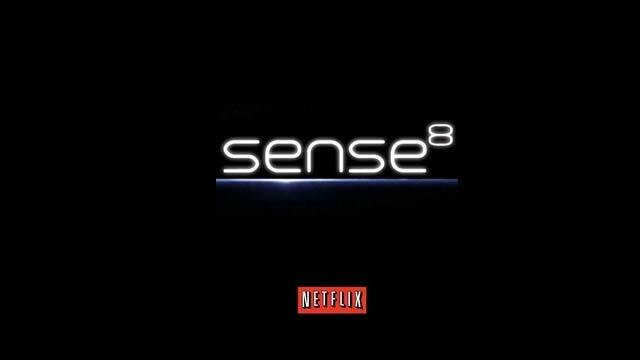 Sense8 will launch as a 12-episode series Friday, June 5 only on Netflix.